When you publish street-level imagery to the public, blurring faces and license plates on street-level imagery may be required in order to comply with privacy laws. The Orbit 3DM Blur & Erase package exists of different tools to fulfill the requirements of a 100% blurred publication. 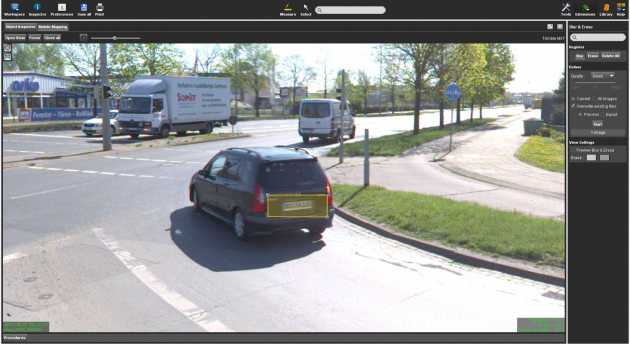 Either you can do it yourself or rely on the Orbit GT service to detect faces and license plates that require blurring. 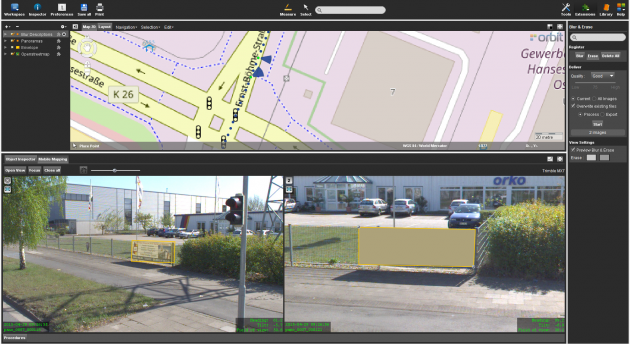 To apply the results to the imagery and comply to user feedback, a QC Blur & Erase desktop tool is offered in relation to the 3DM Publisher. 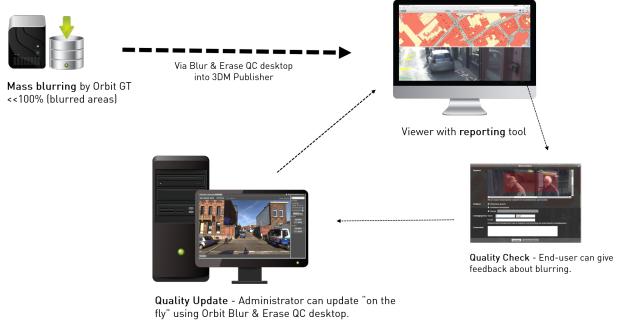 The “Orbit 3DM Blur & Erase Production” is a do-it-yourself production package for teams that wants to register areas (faces, license plates, billboards, traffic signs, …) for blurring. This registration tool is optimized to identify areas of interest including a preference menu for defining keystrokes to maximize the production speed. 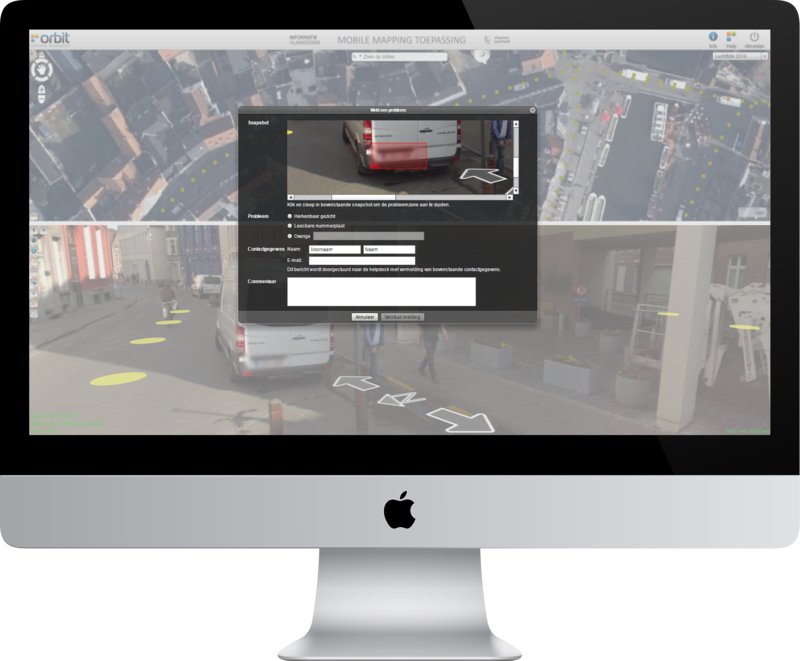 In case you cannot deal with the job, Orbit GT offers a service to detect faces and license plates based on the volume of images that needs to be processed. The customer must prepare the imagery using the 3DM Blur and Erase QC product. 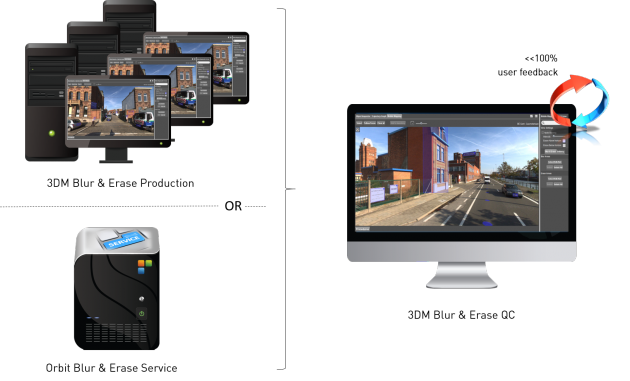 The Orbit 3DM Blur & Erase QC is a stand-alone workstation to prepare for blurring service or production, consolidate the blurring production or service, QC, process imagery, prepare real-time or physically blurred imagery, and process user feedback. Using the 3DM Blur & Erase QC one can assure to fulfill privacy regulations including the response on user feedback. How to use Blur and Erase QC? How to use Blur and Erase Production?